We feel extremely pleased to officially announce to have been appointed as Official Distributor for SaveMyBug™ (USA) Products in Pakistan. 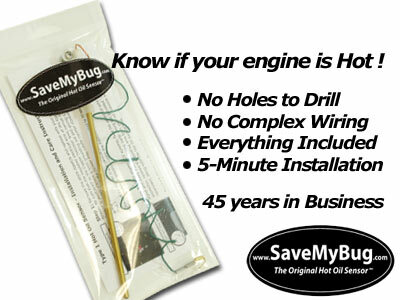 A special thanks to Greg Brown at SaveMyBug™ (USA) for putting his faith in us. Now you can order SaveMyBug™ (USA) products with full confidence with same 100% Satisfaction Guarantee right here in Pakistan at the same great price as in the USA!!! BUY YOUR SAVEMYBUG™ PRODUCTS IN CONFIDENCE FROM PACVWR™! Visit PACVWR ONLINE PARTS SHOP to order your kit now!